New to the overseas or abroad online payments market and need a robust global payment service you can depend on? We can provide high-level merchant services including payment processing for the business you do with your international customers. 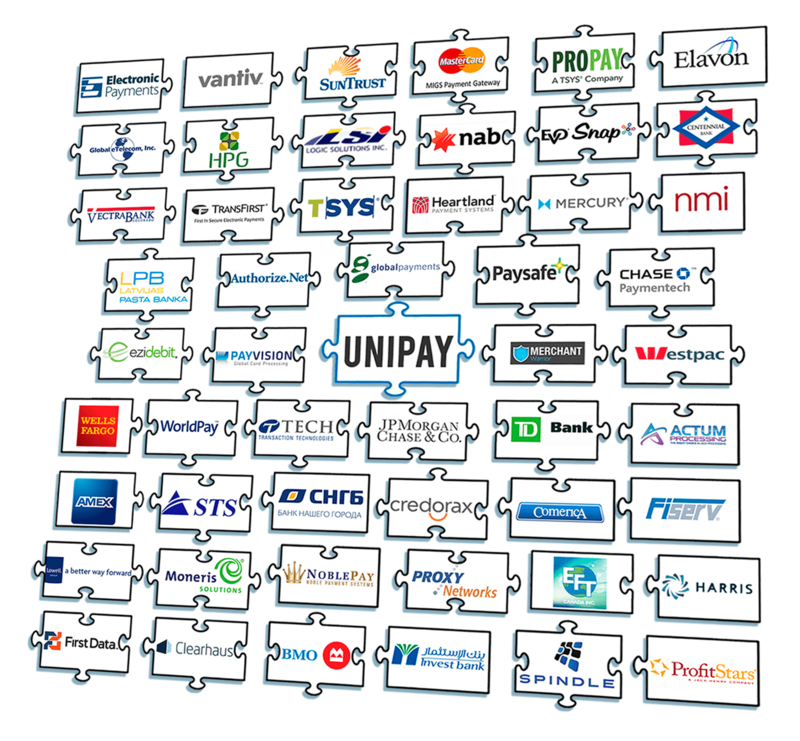 As this infographic illustrates, UniPay Payment Gateway Management Platform integrates with more than 50 payment gateways and banks to accept worldwide transactions with credit cards. All gateways and banks on our list allow for secure transactions between merchants and clients. More than 40 of the local and international payment gateways with which the UniPay Gateway integrates provide PCI DSS compliant payment solutions that make it easy and secure to accept credit cards online. With UniPay’s comprehensive payment method list available to your business, you can offer your customers more than just credit cards processing. You can offer them a seamless, convenient and easy-to-use experience. We do our best to help you avoid the problems and pitfalls of working with multiple currencies for international transaction processing. Make your customers feel at home while accepting transactions with UniPay’s many established bank and payment platform integrations, feel free to request demo of our payment software technology. Puzzled by Payment processing? 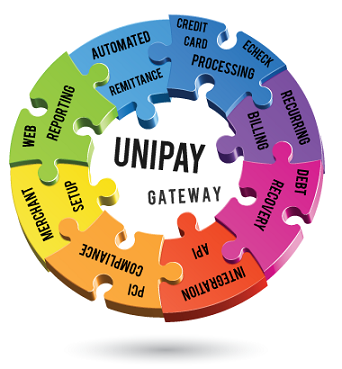 With UniPay’s comprehensive payment gateway integrations, you are able to offer your customers more than just credit cards processing. Can UniPay help with a collections software package?